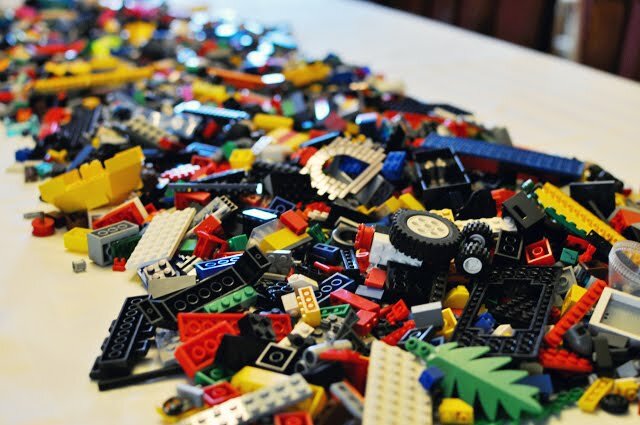 Last weekend we celebrated the big SeVeN with a Lego party. 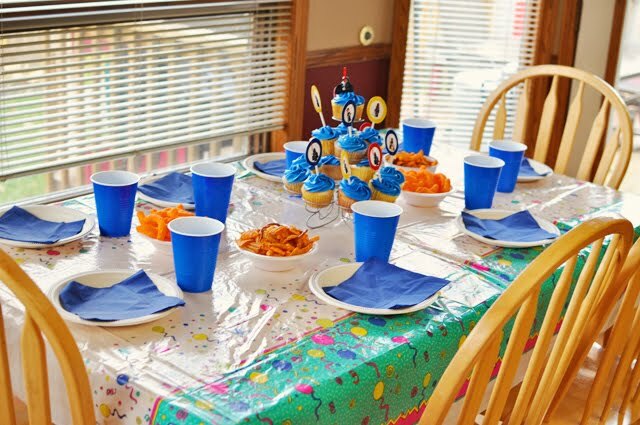 The boys had a great time and I have to admit it was really easy to plan and very laid back. 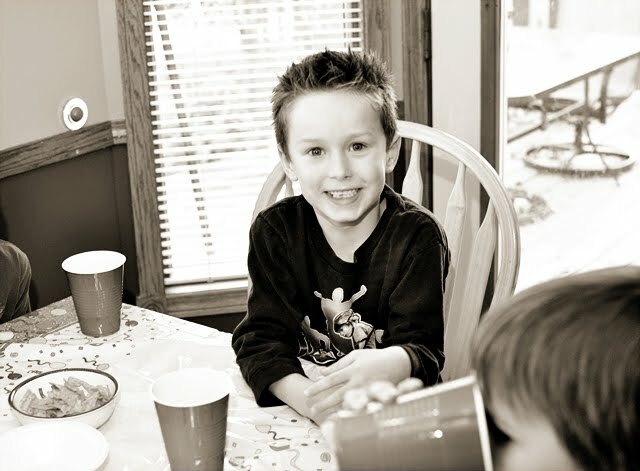 Cutest 7 year old I know! 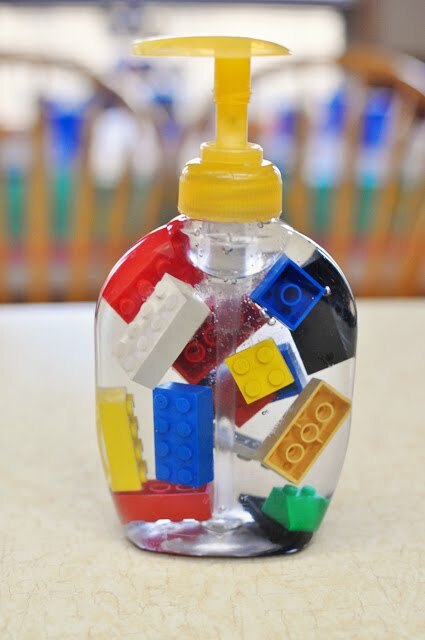 Lego soap- we decided to add a few pieces of Lego to the liquid soap in our bathroom. A fun little surprise for our guests! 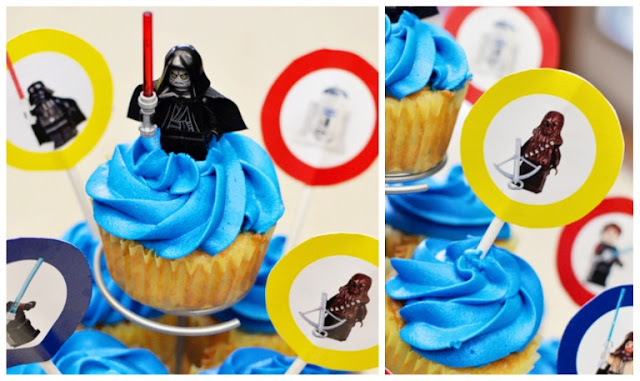 The birthday boy requested cupcakes, which made me very happy because they are so easy! 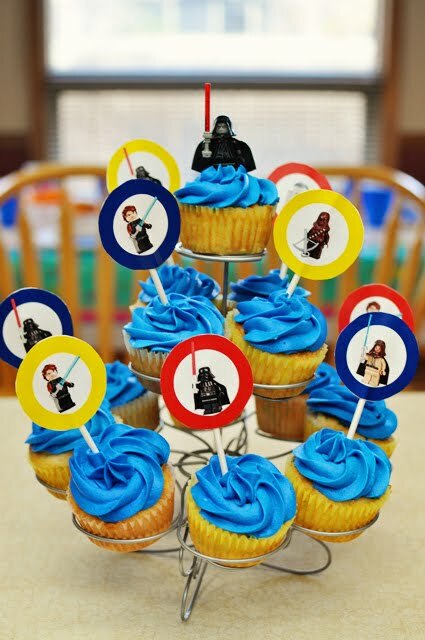 We made them together, pipped on some homemade blue icing (which was a hit at the party because it dyed all the kids teeth blue) and added some StarWars cupcake toppers. Found free here! 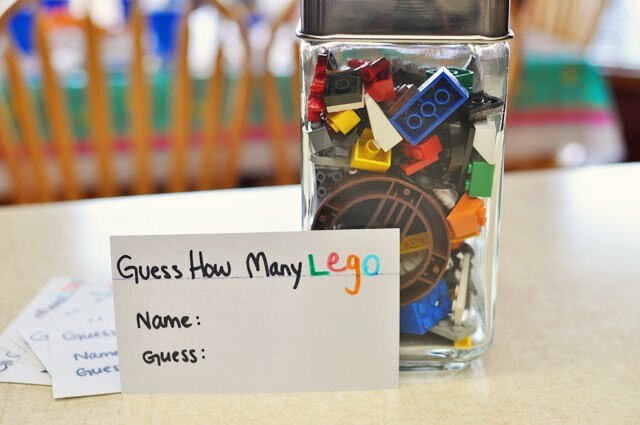 Lego Guess- we filled a small container with Lego and had the boys try to guess how many piece of Lego there were. The little guy who won was only 8 pieces off. Crazy! 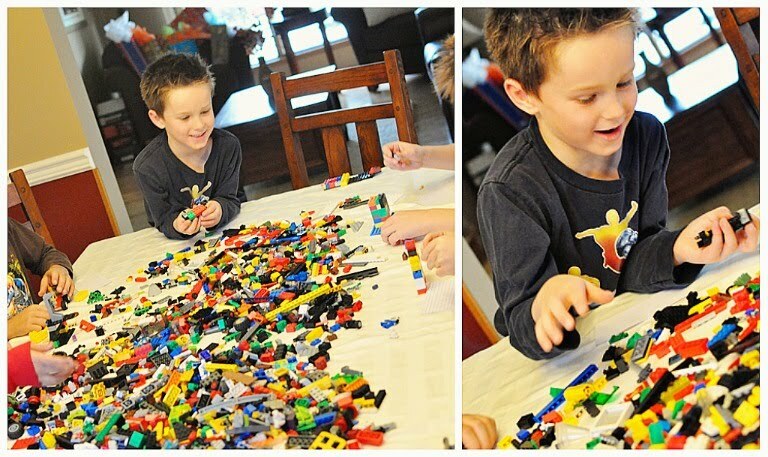 Lego Towers- we put the boys in teams of two and gave them 5 minutes to build the tallest tower they could. The were so excited to line them all up beside each other and see who won. 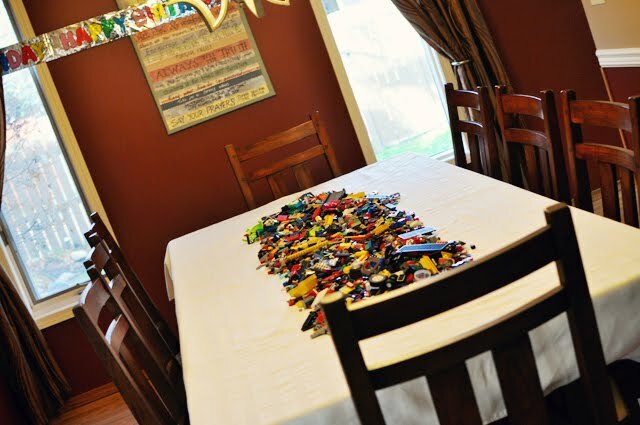 Surprise Lego Build- before the party I made up a card for each of the boys. On each card was an idea like Car, Airplane, Castle, Tower, Spaceship, Rocket, House. We sat down at the table and each of the boys were given a card. Without telling anyone what it was, they had to make what was on their card. At the end, the other boys had to guess what they had made. This was a huge hit! We scored some fun Starwars action figures on clearance at Walmart and then added hockey cards, a glow stickand some candy. 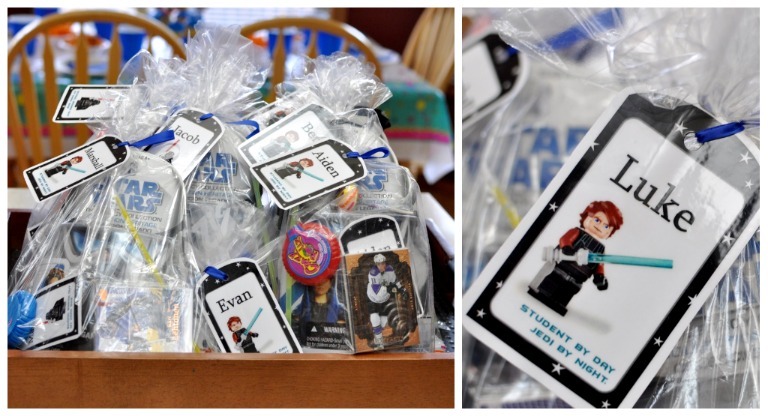 But the best part were these cute little personalized Lego Starwars Tags found free here! I simply printed them off and then had them laminated. Perfect! A fun afternoon that was pretty much stress free.